How do you think the people in paintings look that good all the time? When we visit museums there are always things we come to expect. Maybe some long entrance lines, expensive gift shops and food courts and of course the art, statues, and life size models of objects. We walk through museums contemplating what an artist was trying to convey, or soak in some history. But I don’t think anyone has ever stopped and wondered why portraits continuously look good. The answer my friends, selfies. Portraits hang on the wall for everyone to see, but before they do so they need to make sure they look good for everyone. Thanks to Olivia Muus and her Museum of Selfies we get to enjoy some pretty interesting pictures. 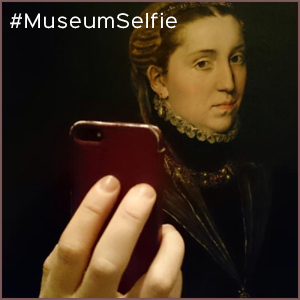 These museum selfies will change the way you look at paintings.